Looking for the perfect South African safari? Here’s our pick ( yes, from the whole country). It’s no secret that Madikwe game reserve is the hottest spot when wanting to experience a traditional South African safari. Aside from being malaria-free, the reserve’s game viewing is the best we’ve seen – and we’ve been to A LOT of game reserves. Situated at an easy 4 hours driving distance from Johannesburg or a 50 minute daily scheduled flight from Johannesburg International airport, Tau “The Place of the Lion” is perfect for couples and families wanting to experience the magic of South Africa. 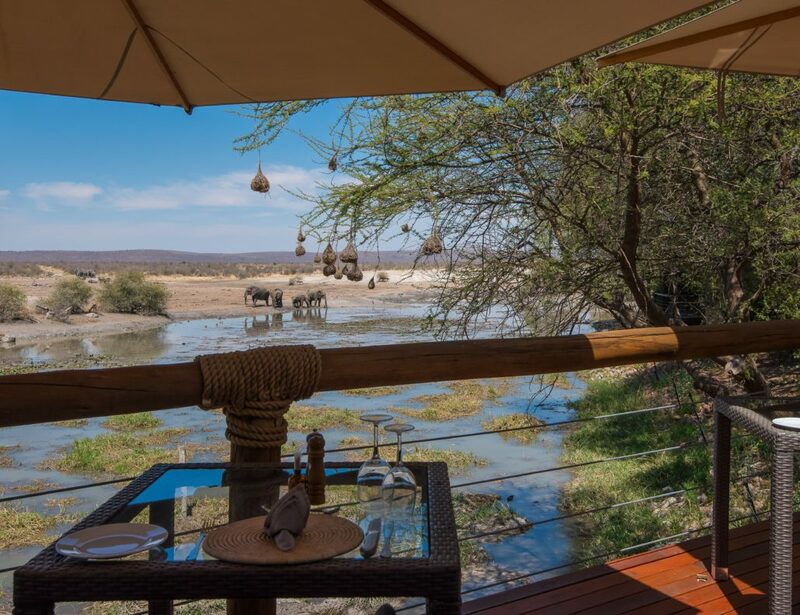 From the moment you arrive and walk out onto the main deck, you are met with sweeping, panoramic views of one of the reserves biggest waterholes (a nightly happy-hour spot for many of the Big 5). 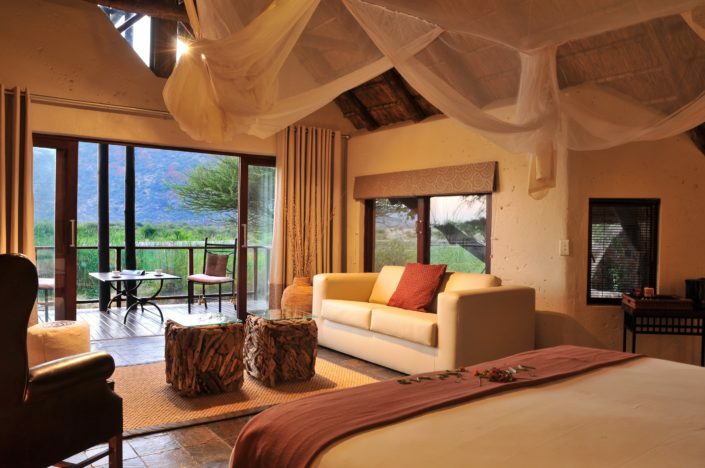 The main Lodge has a comfortable ‘barefoot-luxury’ lounge, bar and dining room which are semi open-air and overlook the waterhole. This means you have ample opportunity to share a meal with your favourite African beasts. Delicious buffet breakfasts and lunches are generally served in the main building or on the lapa and dinners are served in one of the cosy bomas under the stars. With every aspect of the lodge catering to the natural surroundings of the area, it was no surprise that the lodge’s kitchen has recently undergone a much healthier, self-sustainable and organic overhaul. 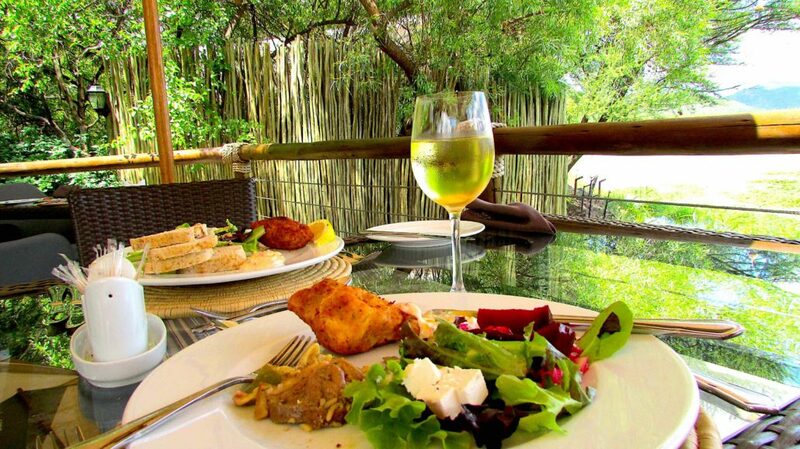 Always proactive, Tau Game Lodge has introduced some new healthy options to the popular menu, having recently hosted an established chef from Bali, who has her origins in Australia. Chef Cynthia Tait spent a month training and familiarizing the culinary team with the art of healthy cooking and using more organic seeds, vegetarian dishes and now globally popular Thai flavours. For regular guests enjoying the comfort safari food at the lodge, the Tau chefs continue to create deliciously unpretentious cuisine. When one is not dining like royalty, guests can enjoy the luxurious comfort of their suites (which include glass doors for extra game viewing). The décor and furnishings of Tau Game Lodge are Africa-inspired and the rooms are equipped with both air-conditioning and ceiling fans. Each chalet ensures privacy with its own viewing deck, en suite bathroom and open-air shower (where it’s not uncommon to shower under surveillance of the glaring eyes of cute primates). 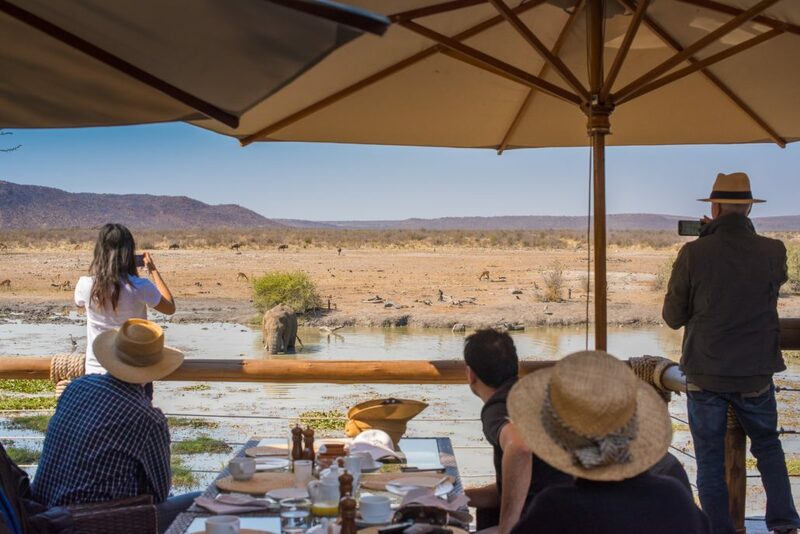 However, dining and lazing on your private deck, as wonderful as that seems, is nothing compared to the incredible game-viewing opportunities Madikwe has to offer. Think, ten thousand animals of 27 major species, including wild dog, cheetah, lion, white and black rhino, buffalo and elephant. 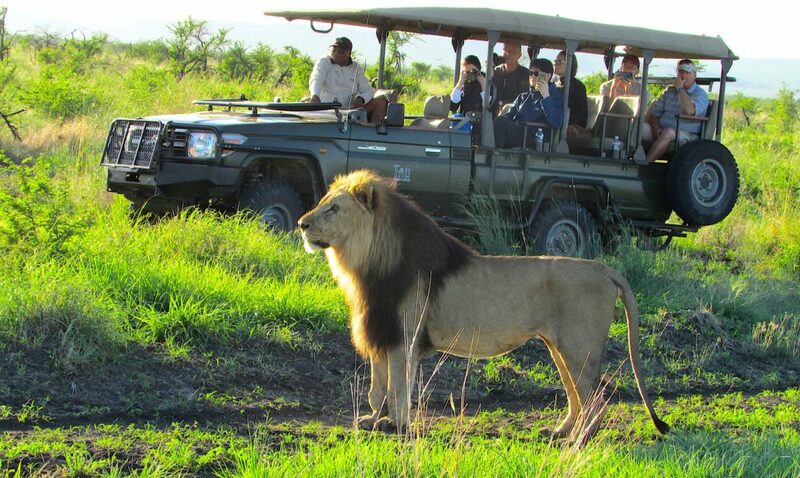 With two daily game-drives is highly guaranteed that guests will experience the magic of South Africa’s Big Five. With other activities including spa-treatments in the lodge’s gorgeous African inspired spa or lazing by one of Tau’s two pools, summer and winter getaways have never been more perfect. Watching the wildlife meet for breakfast or sundowners at the large waterhole from the safety of your private room deck or the lodge’s hospitality and pool decks adds further romance – or drama – to an unforgettable safari. The Tau summer rate until end-April 2019 starts from R5274.00 per person sharing per night.